There are 2 keys to success in the P90X program. Keep pushing “Play” and follow the program. Eat the right things and have a sustainable diet plan. 80% of the success depends on what we eat and only 20% come from the workouts. This is what a lot of people referred to as the 80-20 rule. If I can stay the course, so can you! I did the Fat Shredder diet on the first month of the program and lost about 8 LBS. In the second month I changed it to Energy Booster and lost about 6 LBS. In the final month I did the Fat Shredder again because I wanted to continue losing fat and I did. I lost another 7.5 LBS in the final month to a total weight lose of 21.5 LBS! While the 3 phases appeared to be conveniently spread out over the 3 months of the program, you don’t necessarily need to move up or change the dietary plan to coincide with the P90X schedule. Meaning that it’s not the intend to do Fat Shredder in the first month and then move up to the Energy Booster in the second month, and then to the Endurance Maximizer in the final month. I wish I had learned about this before I switched to the Energy Booster in my second month. If your main goal is to lose fat, you could stay with Fat Shredder throughout the whole program. Some folks have actually use Fat Shredder for 2-3 rounds of P90X. It works its magic by limiting (not eliminating) your carb intake, therefore, less sugar to be converted to fat to be stored in your body. You know how hard it is to shred that fat, don’t you? Let’s say if you’re bonking during the workout, you may then up your carb intake or eat some pre-workout supplement/meal an hour prior to the workout. This might bump you up into the Energy Booster phase but my recommendation is to stay with Fat Shredder as much as possible if fat lose is your goal. So if you’re already active, fit and have less than 10% body fat, and your goal is to build muscle mass, Endurance Maximizer would be your choice. It gives you more carb allowance which will effectively increase your energy level to not only endure but to maximize your effort in the workouts. The duration for each phase is actually irrelevant as long as you know what your goal is. How do I keep track of what I eat? Well, here’s a very easy and fun tool to use. It’s called MyFitnessPal. You can read this post about how you could get it setup. I live in Brazil. Shakeology seams to be an amazing meal but its not available here so we have to come up with something else. Anyway, I´m having plantains + sweet potato (100g each) + 6 egg whites...that´s around 307kcal. I´m thinking about replacing the sweet potato with oats (1 serving) = 390kcal. I´m 5.87ft and I weigh 152 pounds. I gotta eat more ! The reason I´m doing the fat shredder type diet is because...hermmmm I still wanna burn fat. I need to lower 3% (I believe). Hi there coach. I cannot get Shakeology in my country. What can I substitute it for as I see most people use it as their breakfast? I´m starting the fat shredder diet as well (I need around 1900kcal). I know this thing is super healthy and it packs a bunch of great stuff, but all I want is an alternative that won´t mess up my macro ratio of 50/30/20. 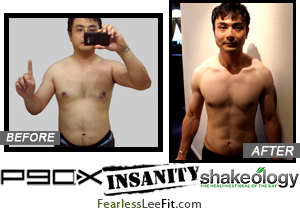 @skinnyserj There's not really a substitute for Shakeology so I can't recommend any alternative. Where are you located?